The Barnsdales Group of companies attended the Doncaster business showcase today held at Doncaster Racecourse. James Vandenbrook who organised the Barnsdales stand said "we have had a very busy day with lots of new and existing clients and businesses coming to talk to us about working with them and helping them out with their property" he want on to say "we have had lots of enquiries about property auctions which is great to see". 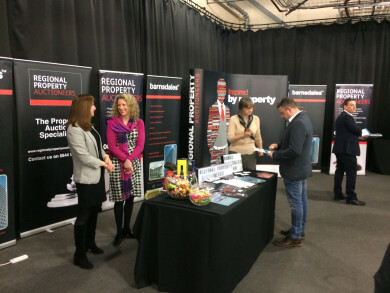 Barnsdales have attended every business showcase since its inception several years ago and are proud to support the local event.